If you want to liven up a social gathering (in real life or online) just ask people who keep chickens if you should put a light on during the winter or if you can mix your own feed or what kind of bedding you should use. These questions, and others, are chicken hot topics and I guarantee you’ll get divided answers from people who “know” and who will defend their opinions with equal passion. I normally try to stay out of such messes. Life has enough drama without me trying to convince everyone that my way is the one right way to keep chickens. I don’t have strong opinions on keeping chickens, other than, if you decide to keep chickens you need to take care of them and have a plan for when they stop laying. But there are many other people who do have strong opinions and are very vocal about those opinions, treating their opinions as fact. Often times it’s hard (especially for a new chicken keeper) to know if the person is stating facts or factly stating his opinion. 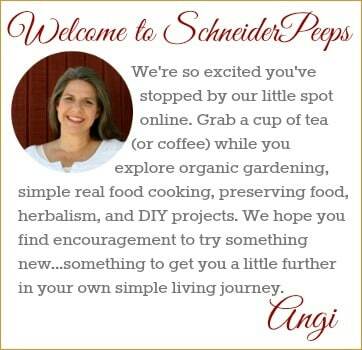 When we first started keeping chickens I read a blog post by a well known chicken blogger that said she used sand in her coop and run, I thought it sounded like a good idea. Not too long after that I read another post from another well known chicken blogger who said it was dangerous to use sand in the coop and run,her arguments sounded good too. Then I started looking at their facebook pages, and came across some of the rudest comments I have read online and not just from the facebook “fans” but from the bloggers. I don’t even go to those pages any more. Meet my friend, Jessica of 104 Homestead, who is not shy at all of walking right into these kind discussions and presenting facts. If you follow her blog you know she’s great at listing the pros and cons of various topics based on facts, not just on her experience. 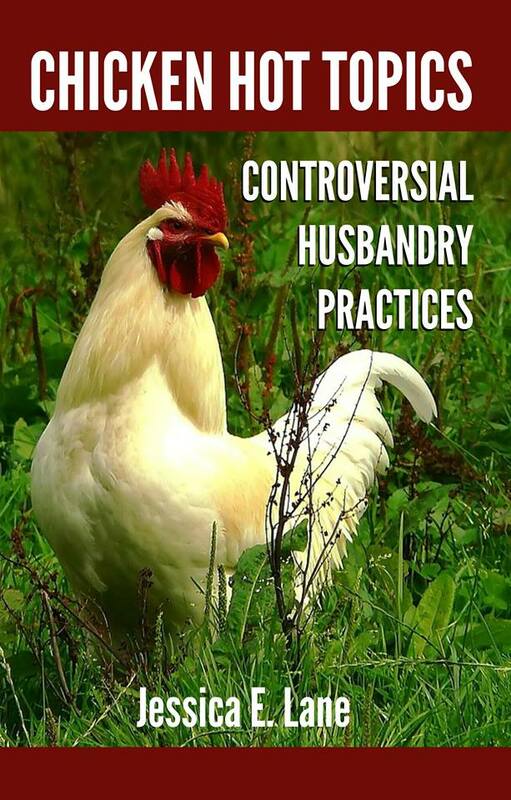 And she’s taking on these topics in her new book, Chicken Hot Topics – Controversial Husbandry Practices. In Chicken Hot Topics you’ll find information on space requirements, bedding (yep, even sand), diets, eating egg shells, parasites, wing clipping, breaking a broody hen, supplemental lighting, heating the coop, euthanasia, dispatching aged birds and lots of extra resources. One thing I really like about Jessica’s writing is that even when she’s giving the facts and citing studies, her writing style is fun and engaging. I also like that she doesn’t try to convince you to do anything, she is well aware that you are smart enough to make decisions that are right for you and your chickens. So, if you’re interested in getting the facts surrounding controversy in chicken keeping, I encourage you to get this book. You can get the ebook directly from Jessica’s site and you can get the print edition from Amazon. And for fun, Jessica has agreed to let me give one of you a free digital copy of Chicken Hot Topics. Use the form below to enter. We hope to get chickens this spring! You will fall in love. Each chicken has its own quirky personality. I love mine too. Best decision I’ve made for me and my flock. I’ve heard controversy about allowing chickens in the garden. Some think it is good to reduce pests, but others say they will help themselves to the produce. Is there certain times in the growing season that are best to let them in? With my flock, I do not allow my birds access to the garden when things are just getting going. What they don’t nibble, they scratch and dig up. Once the garden is properly established, I let them out on sort of a rotation. I have 20 chickens, so if all of them were set loose, the strongest garden wouldn’t survive. If you have a small flock of five or less, an established garden should be safe. 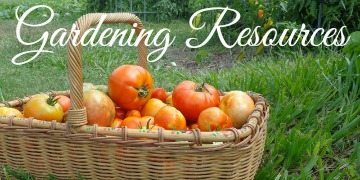 The few low-hanging tomatoes you lose are worth it for the pest control and soil aeration. 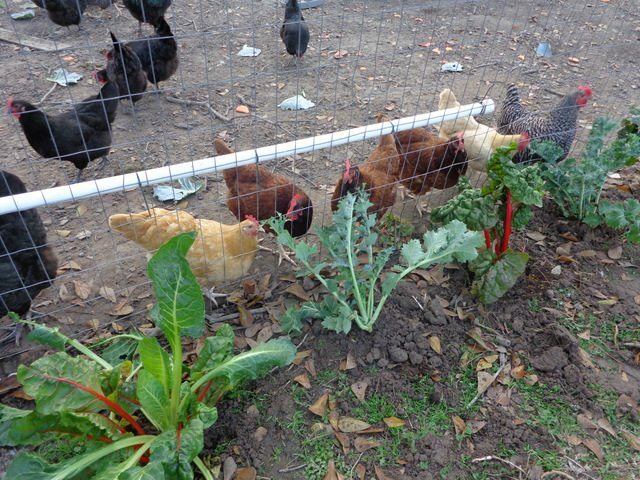 If you have an off season for gardening, that is a great time to let your chickens in the garden to help clean up and get things ready for the next season. For most people that would be during the fall and winter. We garden year round and have 50 chickens so we don’t let ours in our garden area. I appreciate the willingness of others to share facts and let me decide what I feel what will work best for me! I don’t do rudeness by so called know it alls. 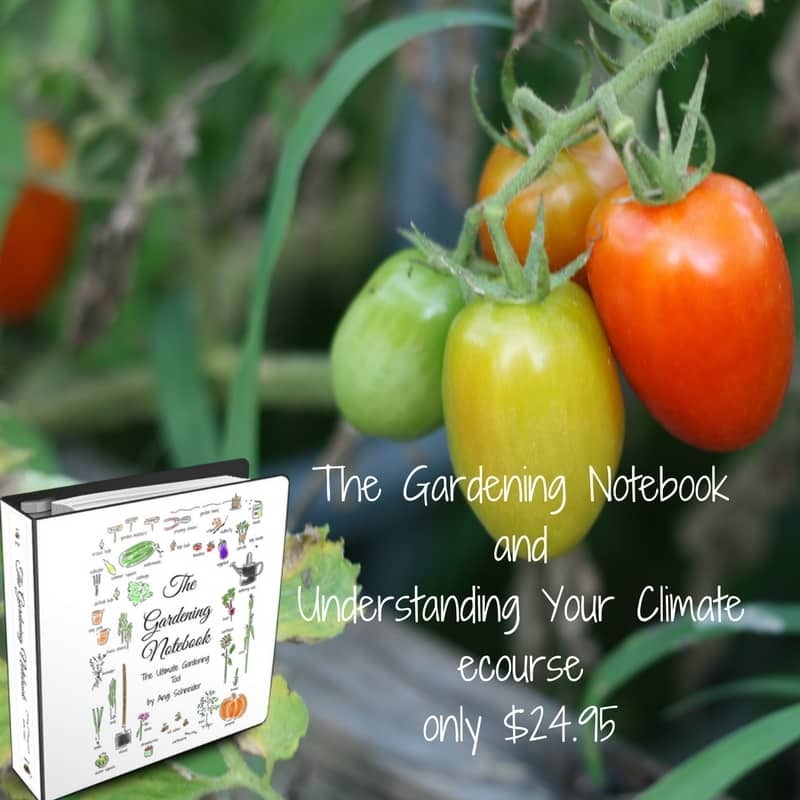 After all we are homesteading and each one of us has a different set of circumstances and trial and error is how we learn. My dear friend, Lisa has given me the confidence to try. That’s awesome to have a friend that encourages you in your journey. What a great gift. To sand or not to sand? THAT is the question! So many opinions on if you should clean out a chicken coop or not. If you should use sand, dirt, hay, straw, or nothing at all. Metal or plastic or wood boxes? I have no idea….I do know that my chicken coop will be clean and not stinky. Sara, we’ve tried several different things for bedding and think that’s what most people do (and probably should do) to see what works best for them. You don’t have to have it all figured out at the beginning. We use metal boxes because that’s what my mom handed down to us. Sometimes that is the deciding factor. As a new chicken keeper, I am always looking for advice from those with chicken experience. I was not born a farm girl, so keeping animals has been a new and fun experience for me. Thanks for sharing! Our hens seem to be slacking off from laying eggs right now. So yes,I see what you mean by having a plan for when they stop laying. I don’t have chickens yet, but plan on getting some very soon. I have been reading a TON about keeping chickens and I think the biggest confusion for me is the bedding for the coop and run. So many different opinions out there. I never really thought about lighting. I live in Florida so we have pretty mild winters. I will have look into that more. Thanks for hosting this giveaway! I will definitely be reading this book. The good thing is that chickens are pretty resiliant and you don’t have to have it all figured out right at the beginning. My suggestion would be to try out what sounds best to you and if it works well, keep doing it, if it doesn’t try something else. We live along the Texas Gulf Coast so our winters are mild also so we’ve not used supplemental lighting but we have local friends who do. Lights in the winter- I am against it but boy do I hear it from others! Bedding options! Straw, chips, sand, leaves, grass clippings… And each one has its rabid proponents and detractors. The hubs and I are brand new to chickens and are doing our research right now to start making our plans so we will be ready once we take the plunge. It seems like everything from feed to bedding can get pretty hot button so I’m glad to know there are people out there who will present the facts and let us choose. I think you’ll really like this book, it’s very thorough without being overwhelming. I don’t have chickens yet, but hope to soon. Can always learn more about how to keep my biddies happy and healthy. Thanks for this opportunity.